Kolkata’s Hooghly river has just become home to the newest member of one of the rarest mammals of the world – The Gangetic Dolphin (Platanista Gangetica). Born to a resident Gangetic dolphin couple, the baby seems to be loving all the attention it is getting from the locals as it jumps in an out of water making brief appearances all day. The chance of spotting a critically endangered species in its natural habitat is as a rare an experience as the creature itself. The baby dolphin spotted recently in the Hooghly river of Kolkata, West Bengal along Strand Road has therefore turned into a big attraction. About 70 cms long and weighing about 4-5 kgs, the baby is an expert swimmer and frequently comes out of the water. Gangetic Dolphins are more commonly known as Susu because of the Su-Su sound they seem to make while swimming in the river. It is often much more difficult for dolphins to survive in the clouded river waters than the clear ocean waters. A surprising adaptation therefore is the Gangetic dolphins a freshwater dolphin being blind and depending on ‘echolation’ for moving around in the muddy river waters . With pollution of all Indian rivers, especially Ganga at an all time high, these aquatic animals have a messier problem to live with. The Gangetic dolphin was declared as the National Aquatic Animal of India in 2009. What makes the Bengal birth so special is that the river dolphins usually prefers to give birth downriver near the Sundarbans where the mangroves provide a much feasible feeding and breeding ground for many animals. K Venkataraman, director, Zoological Survey of India (ZSI) says that after birth the dolphins take their calf upriver towards Patna in Bihar. He warns that because this special birth has taken place right in the city, people need to be careful and ensure the calf’s safety. “We are not even certain about how many of them exist. What is required is awareness among all of those who use the Hooghly, be it fishermen, those who use the river for transport, as well as establishments on the banks of the river,” he says. The director mourns the lack of trained professionals who can take ample care of these endangered aquatic mammals. “Unfortunately, we don’t have the capacity to protect these animals. The level of training that is required doesn’t exist in India. For proper conservation, there is need for an integrated approach between civic bodies, scientists and all agencies that use the river,” Venkataraman added. Manab Pal, managing director of Manor Floatel Ltd, a floating hotel on the river at Stran Road, however is very happy with the baby birth and says that the hotel has taken measure to ensure that the gangetic dolphin’s river habitat is protected. “We had witnessed the pair of dolphins return to this part of the river. We use a compressor on Floatel to pump in oxygen into the water. This is a very simple process that costs little but helps in a big way. The oxygen helps in the growth of algae which is a food for fish. The dolphin is at the top of the food chain and it follows the fish. We have managed to clean up a small portion of the river. There are problems during the tides when pollutants are pushed close to the structure but we have worked out a system to get rid of this,” he said. Other conservationists too point out that measures taken to make fishermen and locals aware of the dolphins has paid off and they no longer treat these animals as enemies. “These were parts of conservation efforts that paid off. However, two dolphins were killed, probably after collisions with the launches that operate as ferries. The autopsy reports pointed to haemorrhage. The worst thing is the pollution that needs to be controlled. The release of effluents into the river has to stop,” he said. It is believed there are about 3000 Gangetic river dolphins left in the world with 80 percent of the population in India. IUCN has listed the species as Endangered and in India it is protected under the India Wildlife Protection Act of 1972. 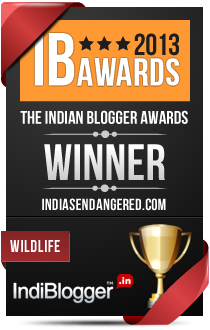 Still, the incidence of poaching for their oil is fairly common in parts of Bihar, Uttar Pradesh and West Bengal. The animal also sometimes gets entangled in the fishing net. Dams, embankments on the river Ganga and Brahmaputra and their tributaries is another problem that is fragmenting the beautiful aquatic animal’s natural habitat. The new birth though is a great way to not just observe this playful animal but make more people aware of the difficulties it is facing in modern times.